< Sweet Dessert Pizza Recipe! 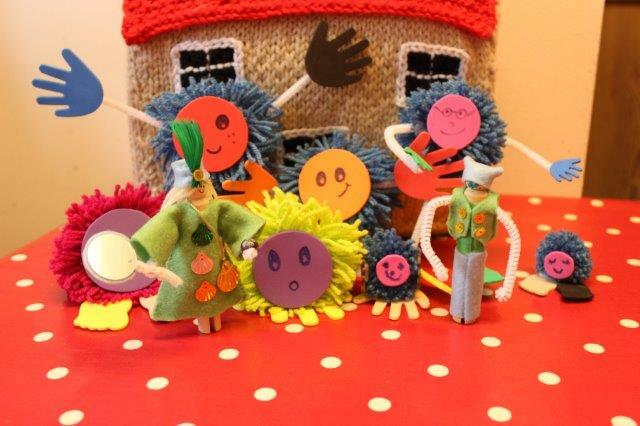 Make your own Monster tutorial and Peg people with Bostik! 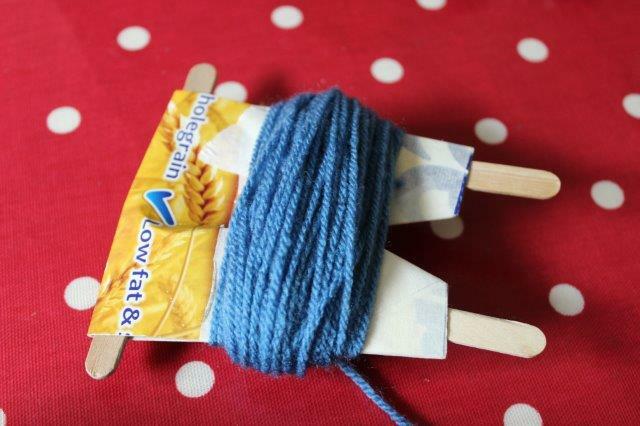 Try making our fun and silly monsters with this tutorial. They were a firm favourite in our house as it appeals to both genders and different ages. 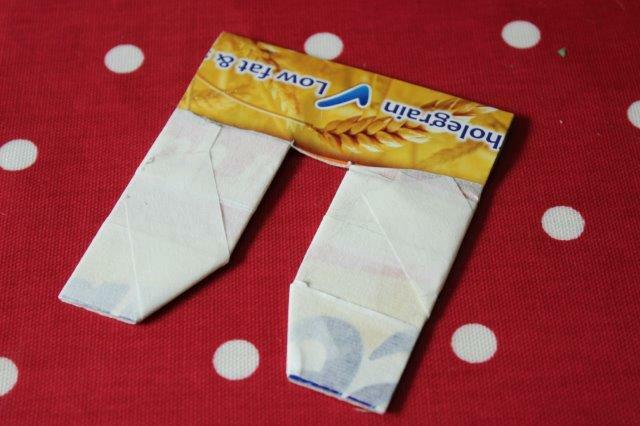 Begin by cutting two ‘N’ shapes out of cardboard, these are then stuck together using tape. 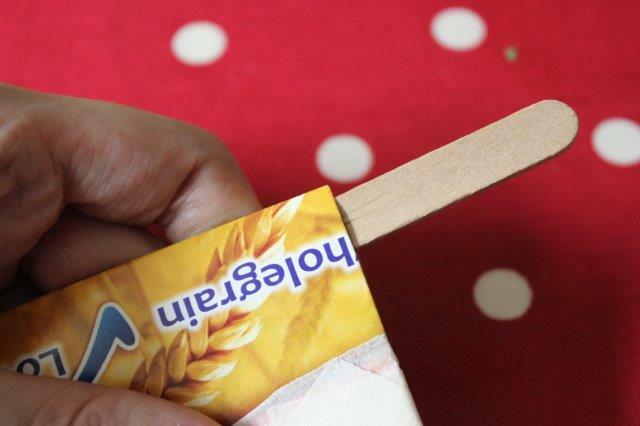 Lolly sticks are inserted across the top and down both sides to give some structure. 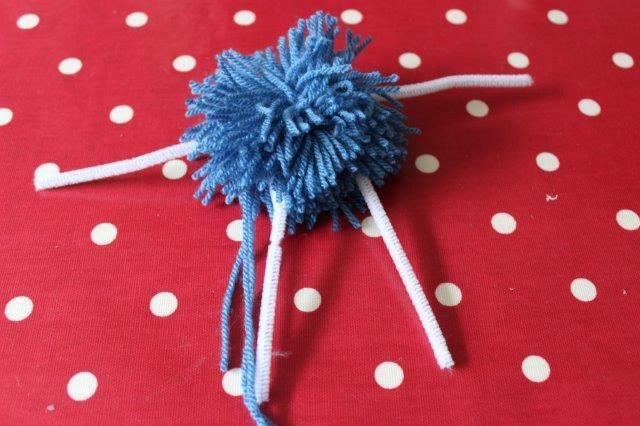 This is a creation of my Mum’s and is the perfect invention for rapid pom pom making. Grab your wool and stick the end down to one side of your ‘N’ using tape. Then wind the wool around the ‘N’ as shown in this picture. You want a decent amount to give your pom pom some body. Next cut a length of wool and tie around the middle of your pom pom securely, for safety tie it again to the opposite side. 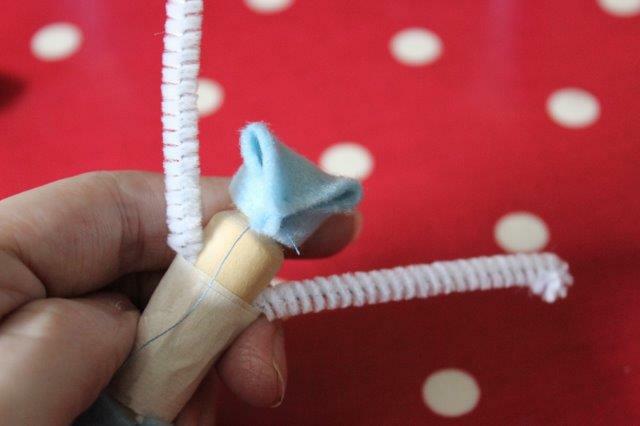 Now take a pipe cleaner and wrap around the centre in a similar fashion, add another facing the other way, these will then form the arms and legs. 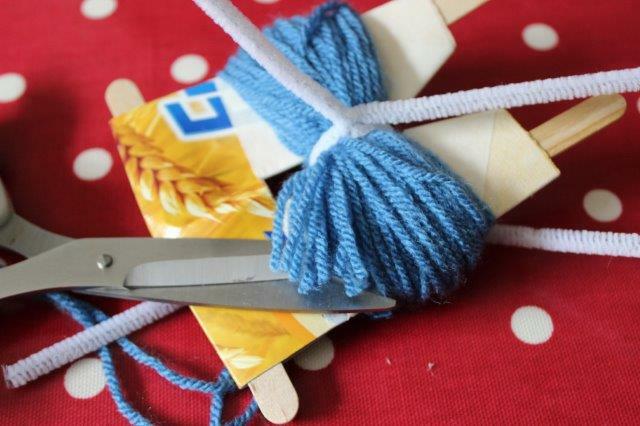 Next cut both sides of your pom pom and slide off the ‘N’ shape. Trim off any longer pieces of wool. Trim the arms and legs to your preferred length and consider bending a small part of the pipe cleaner back on itself to prevent sharp ends. 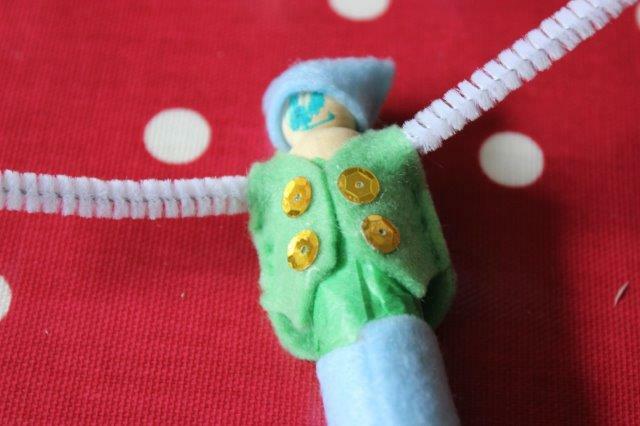 We then stuck foam feet and hand shapes onto the pipe cleaners using the Blu-tack foam pads. 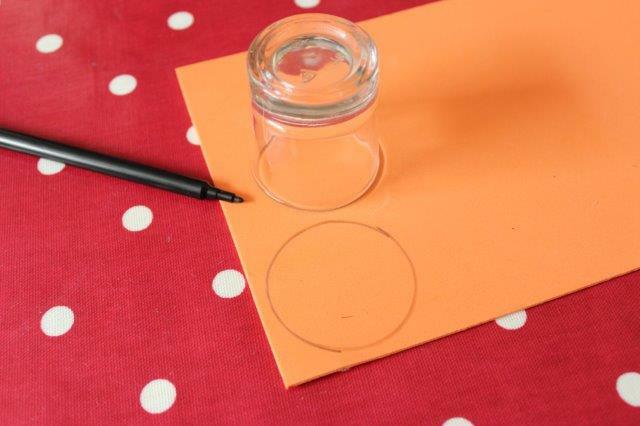 Draw around a small glass on a foam sheet and cut out, this will become the monster’s face. 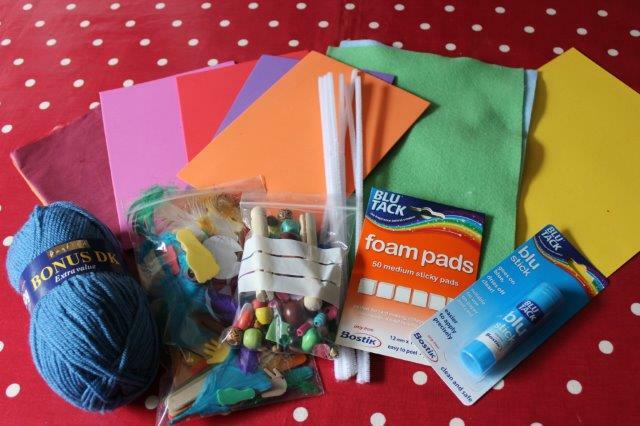 Draw the features on with a pen and attach using the Blu-tack foam pads. Variations in size, colour and feet/hand shapes all add variety to your monsters. 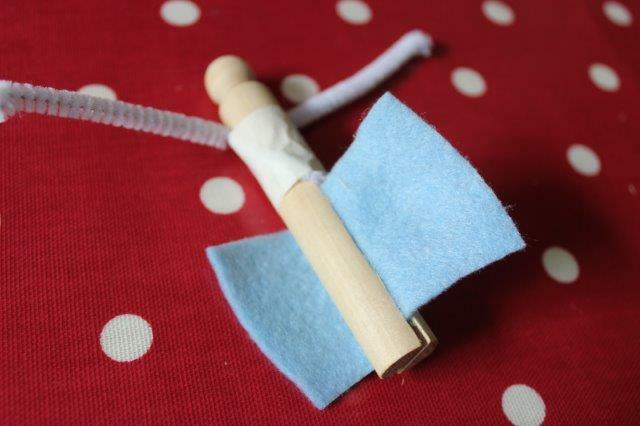 First take a peg and slide a pipe cleaner through the open slit. 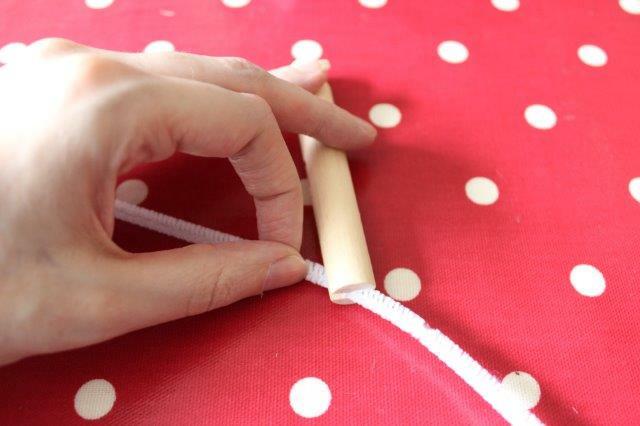 Twist around the peg to form arms and then stick into place using tape. Next take a rectangle of felt and slide though the peg. 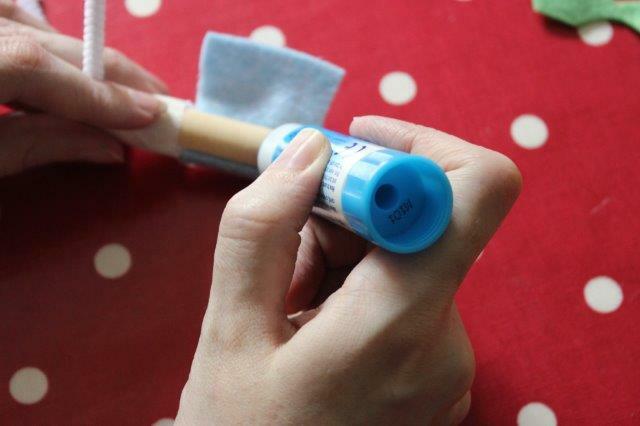 Using the Blu-tack “Blu glue stick” secure the felt directly onto the peg to create trousers. 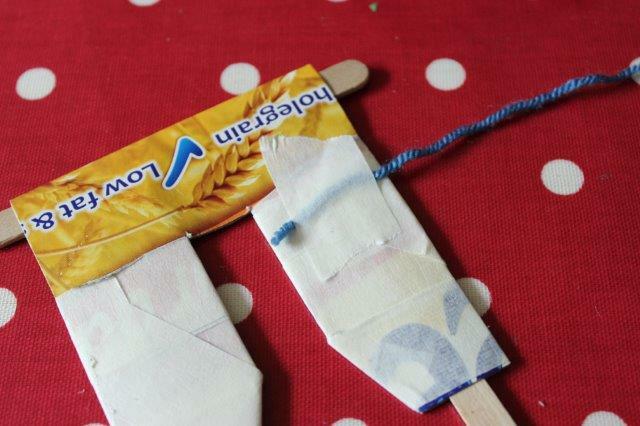 Now cover the upper part of the peg using the glue stick and some tissue paper. We cut a waistcoat shape from the felt which was attached using a couple of small stitches. A hat/bandana is made by cutting a triangle shape. 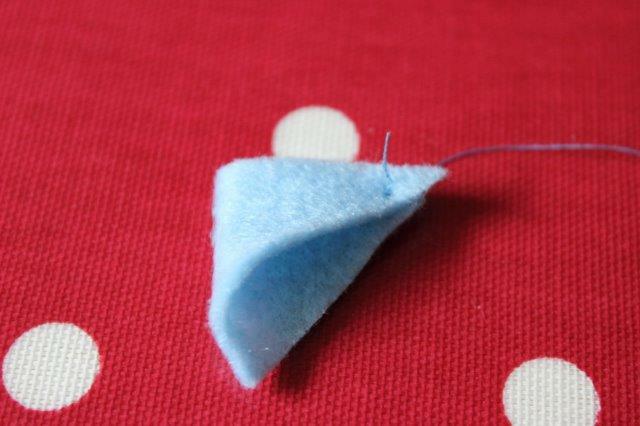 Fold the triangle in half and make a small stitch at the back. 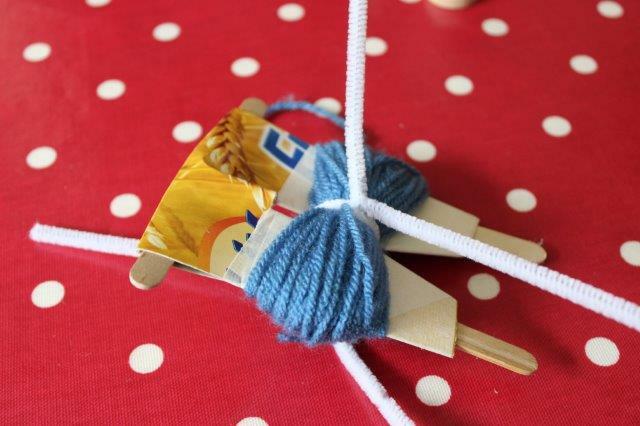 Fold the final triangle point back down and stitch it together, slide over the peg dolls head. Finally glue a few sequins in place for buttons. 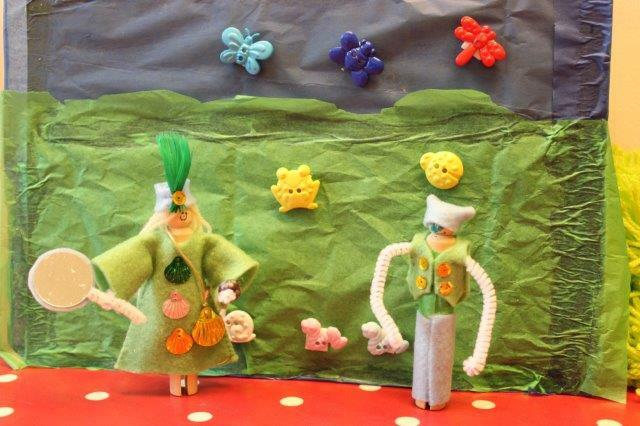 My daughter also made a female variation where a dress shape was cut from felt and hair made using wool. 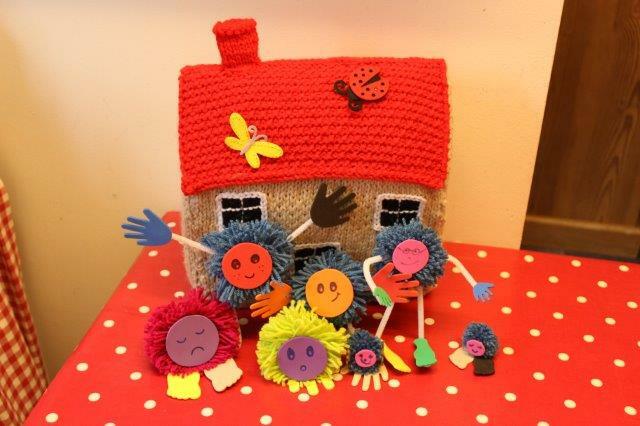 This entry was posted in Tutorials and tagged craft, monsters, peg people, tutorial, tutorials. Bookmark the permalink.